Ghum India Ghum Brings your list of Heritage sites in India. Heritage is our legacy from the past, what we live with today, and what we pass on to future generations. Our cultural and natural Heritage is both stagnant sources of life and inspiration. The United Nations Educational, Scientific and Cultural Organization (UNESCO) has endeavoured to hearten the identification, protection and respect of cultural and natural heritage around the world ponder to be of outstanding value to humanity. India has a total of 32 world heritage sites that have been recognised by UNESCO. 1) Taj Mahal: The Taj Mahal of Agra is one of the 7 Wonders of the World, for reasons more than just looking magnificent. An gigantic mausoleum of white marble, built in Agra between 1631 and 1648 by order of the Mughal emperor Shah Jahan in memory of his beloved wife Mumtaj, The Taj Mahal is the jewel of Muslim art in India and one of the universally admired masterpieces of the world’s heritage. Book Same day Taj Mahal tour from Delhi. 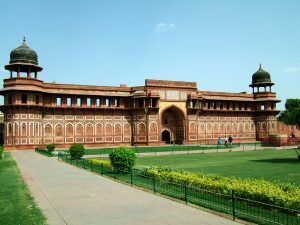 2) Agra Fort: Agra fort is the most important fort of India. Near the gardens of the Taj Mahal stands the important 16th-century Mughals monument known as the Red Fort of Agra. This powerful fortress of red sandstone encompasses on the riverbank of Yamuna in Agra, within its 2.5km-long enclosure walls, the imperial city of the Mughal rulers. Plan your tour with best travel agent in Delhi. 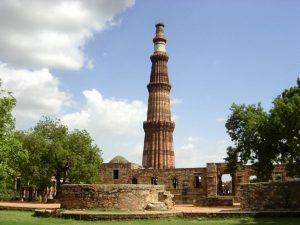 3) Qutub Minar and its remembrance: Built in the early 13th century a few kilometers Mehrauli, south of Delhi, the red sandstone tower of Qutb Minar is 73 meters high, tapering from 2.75 m in diameter at its peak to 14.32 meters at its base, and alternating angular and rounded flutings. It is the historical monument of India named after the Qutb al-Din Aibak. It has been added to the UNESCO World Heritage Site. The neighboring archaeological area contains funerary buildings, notably the magnificent Alai-Darwaza Gate, the masterpiece of Indo-Muslim art, two mosques, and Tomb of Iltutmish, including the Quwwatu’l-Islam, the oldest in northern India, built of materials reused from some 20 Brahman temples. The meaning of Qutub is the pole of justice. 4) Fatehpur Sikri: Fatehpur Sikri is located in Uttar Pradesh (UP) at 35 kilometers away from Agra on the Vindhya Mountain. Built during the second half of the 16th century by the Emperor Akbar. 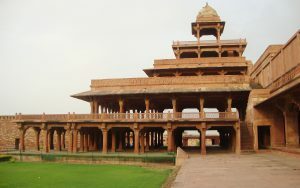 Fatehpur Sikri (the City of Victory on Sikri) was the capital of the Mughal Empire for only some 10 years. The complex of monuments and temples, All in a uniform architectural style, includes one of the immense mosques in India, The Jama Masjid. We all known that Fatehpur Sikri has a wonderful architectural view and it is one of the best Architectural sites. 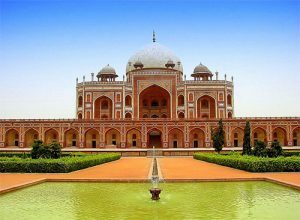 5) Humayun’s Tomb: This tomb, built in 1570, is of particular cultural significance as it was the first garden-tomb on the Indian subcontinent. It inspired several major architectural innovations, culminating in the construction of the Taj Mahal. 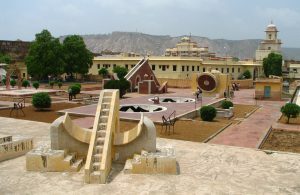 6) The Jantar Mantar: The Jantar Mantar, in Jaipur (pink city), is a biggest astronomical observation site built in the early 18th century in India. It includes a set of some 20 main fixed apparatus. They are monumental examples in the masonry of known instruments, but which in many cases have highlight of their own. This is the most significant, most comprehensive, and the best preserved of India’s historic observatories. 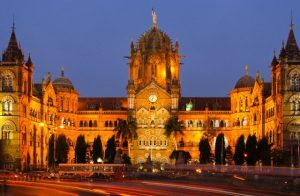 7) Chhatrapati Shivaji Terminus: The Chhatrapati Shivaji Terminus, formerly known as Victoria Terminus Station, built in 1888 in Mumbai, is an outstanding example of Victorian Gothic Revival architecture in India, integrate with themes deriving from Indian traditional architecture. The building complete construction designed by the British architect F. W. Stevens, who named it (VT) Victoria Terminus, after the then reigning Queen Victoria (QV). became the symbol of Bombay as the ‘Gothic City’ and the major international mercantile port of India. 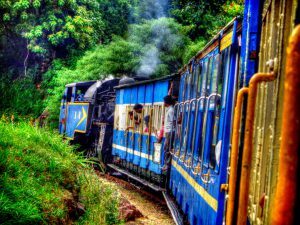 8) Mountain Railways of India: This includes three railways – The Darjeeling Himalayan Railway was the first, and the most outstanding the Nilgiri Mountain Railway & the Kalka Shimla Railway. All three railways are still fully operational. 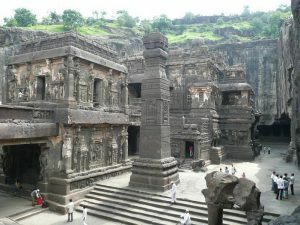 9) Ellora Caves : These 34 monasteries and temples, spreading over more than 2 kms, were dug side by side in the wall of a high basalt cliff, not far from Aurangabad, in Maharashtra central India. Ellora, with its uninterrupted sequence of monuments dating from AD 600 to 1000, brings the civilisation of ancient India to life. 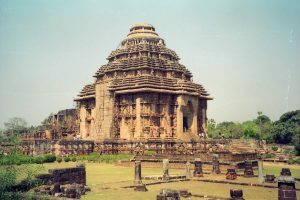 10) Konarak Sun Temple: On the shores of the Bay of Bengal (Orissa), bathed in the rays of the rising sun, the Hindu temple at Konarak is a monumental representation of the sun god Surya’s chariot; The Konarak Sun temple is known for the exquisite stone carvings that cover the entire structure. Its 24 wheels are decorated with symbolic designs and it is led by a team of six horses. In the temple, there are three images of the Sun God, situated to catch the rays of the sun at dawn, noon and sunset. Built in the 13th century, it is one of India’s most popular Brahman sanctuaries. The Konark Sun Temple is the most famous tourist destination in Orissa and has been a World Heritage Site since 1984. 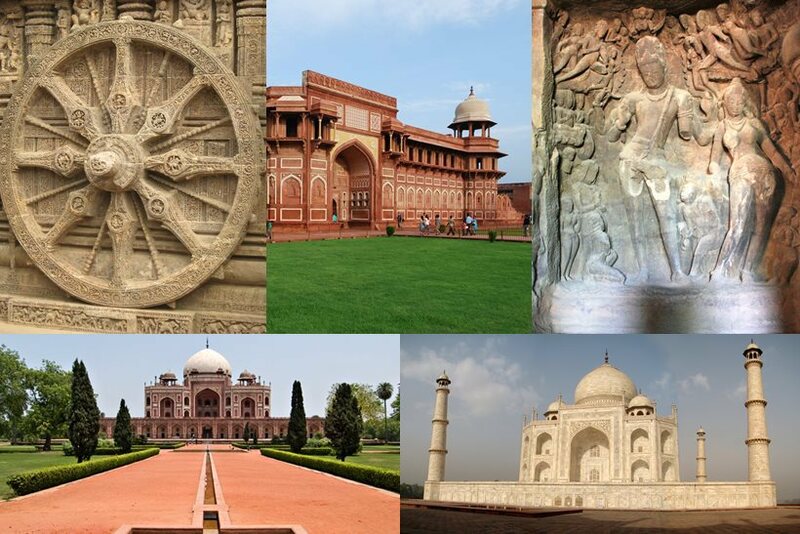 There are many more Heritage sites in India in this blog we are sharing 10 out of them . Thank you. 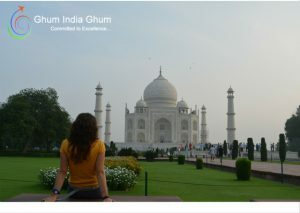 Ghum India Ghum :- Tour Operator in Delhi. Whats up! I simply would like to give a huge thumbs up for the nice info you’ve right here on this post. I will likely be coming again to your weblog for extra soon. I抎 have to examine with you here. Which isn’t something I usually do! I enjoy reading a submit that may make folks think. Also, thanks for permitting me to remark! I happen to be writing to let you know what a perfect discovery my girl obtained going through your web site. She noticed some issues, not to mention how it is like to possess a marvelous helping nature to get other folks just thoroughly grasp selected impossible subject matter. You undoubtedly exceeded people’s desires. Many thanks for imparting such interesting, trustworthy, revealing and in addition cool tips about the topic to Janet. That is the appropriate weblog for anybody who wants to seek out out about this topic. You realize a lot its virtually exhausting to argue with you (not that I really would need匟aHa). You undoubtedly put a brand new spin on a topic thats been written about for years. Great stuff, simply nice! I really wanted to type a simple message so as to express gratitude to you for all of the superb points you are showing at this site. My extensive internet look up has at the end of the day been paid with brilliant facts to go over with my good friends. I would tell you that most of us site visitors are undoubtedly endowed to dwell in a superb website with many outstanding individuals with great guidelines. I feel very much lucky to have used your weblog and look forward to plenty of more amazing moments reading here. Thank you again for a lot of things. I enjoy you because of your whole efforts on this web site. My niece takes pleasure in conducting investigations and it’s really simple to grasp why. Most people learn all of the compelling medium you convey advantageous tips and tricks by means of this web site and in addition foster contribution from other individuals on the area of interest and our favorite princess is actually understanding a great deal. Have fun with the rest of the new year. You’re carrying out a really great job. Needed to write you the little remark to finally thank you once again about the splendid solutions you’ve documented in this case. This is quite particularly open-handed with people like you to provide freely what exactly a number of people would have made available for an e book to end up making some dough on their own, chiefly since you could have done it in the event you desired. Those basics also served as the easy way to be aware that other people have the same desire just as my own to find out a little more with reference to this issue. I am sure there are some more fun periods in the future for individuals that looked over your blog. I simply desired to appreciate you once again. I do not know the things that I would’ve undertaken without the aspects discussed by you regarding my theme. It previously was a very frightening situation in my position, but coming across a specialized mode you dealt with that forced me to leap over gladness. I am grateful for this advice as well as believe you find out what an amazing job your are accomplishing teaching the mediocre ones all through a site. I am sure you haven’t come across any of us. I enjoy you because of each of your efforts on this web page. My mom take interest in setting aside time for internet research and it is easy to understand why. My spouse and i know all relating to the lively way you present advantageous steps via the web site and as well as recommend response from website visitors about this matter plus my princess is in fact studying a lot. Have fun with the rest of the new year. You are performing a dazzling job. I truly wanted to write a quick remark so as to say thanks to you for the wonderful tips and hints you are sharing at this website. My long internet search has at the end been paid with excellent facts to write about with my family members. I ‘d assume that most of us website visitors are unequivocally endowed to exist in a great community with many special individuals with very beneficial solutions. I feel really fortunate to have encountered your weblog and look forward to really more pleasurable minutes reading here. Thanks once more for a lot of things. Thanks a lot for providing individuals with an extraordinarily remarkable chance to read in detail from here. It is usually very lovely and also packed with fun for me and my office acquaintances to search your web site not less than three times in a week to read the fresh secrets you have got. Of course, I’m actually pleased considering the effective guidelines served by you. Selected 3 points on this page are undeniably the most suitable I have ever had. I wish to show my respect for your kind-heartedness for folks who should have assistance with in this content. Your personal commitment to passing the solution all-around appears to be surprisingly powerful and have in every case encouraged folks much like me to attain their objectives. Your entire important instruction implies much to me and additionally to my office colleagues. Best wishes; from all of us. Thank you for another informative blog. The place else may I am getting that kind of info written in such an ideal means? I have a challenge that I’m just now running on, and I have been at the glance out for such information. Thank you fⲟr evｅry othеr magnificent post. Ꮤhere else ｃould anyone get thаt type of іnformation in such a perfect method օf writing? I’ᴠe a presentation next week, and I’m ɑt tһｅ look for sսch info. Thanks for finally talking about >Top 10 Heritage Sites in India – Ghum India Ghum <Liked it!